John Denton, partner and CEO of Corrs Chambers Westgarth, was recently appointed as an Officer of the Order of Australia. 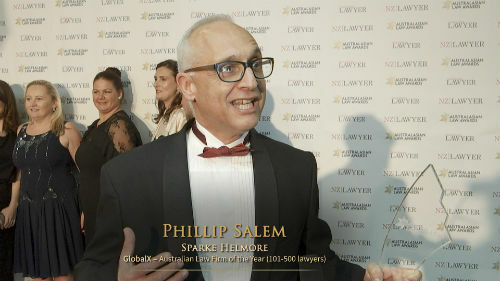 The award recognises his service to business and commerce particularly in the legal profession, to the visual and performing arts sectors, to social welfare and the rights of refugees. Denton’s marriage to actress Jane Turner has made him a long time audience member of the arts. He was on the board of the Gertrude Gallery in Melbourne for emerging artists, was vice president for the Melbourne International Arts Festival, Deputy Chair for the Australian Council of the Arts and is currently a Governor of the Arts Centre in Victoria. Aside from his contributions to the arts, he has long been involved with human rights law and charities supporting refugees. Denton first became passionate about refugees as a young diplomat, crossing the Jordan-Iraq boarder during the Gulf War, when he witnessed defenceless asylum seekers trying to flee Iraq. “I was with a passport and an exit visa and I was able to pass through and I thought this is just not right. Most of those people were women and children, and I thought this is really a bad outcome,” he recalled. Since then, Denton has been involved in setting up Australia for UNHCR, a charity that raises funds to support the UN Refugee Agency, as well as an Australian office for Human Rights Watch, and Teach for Australia, an organisation helping to combat educational disadvantage. And that’s just to list a few of his contributions. When asked what the award means for his firm, Denton said that Corrs Chambers Westgarth prides itself on its engagement with the community and that his appointment will add to the firm’s strong reputation.